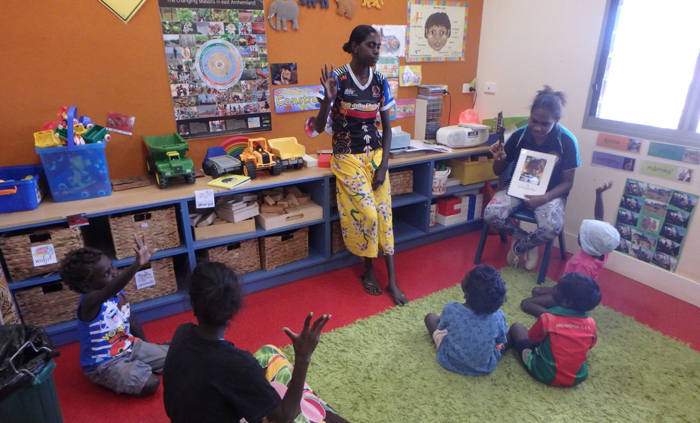 A Yurrwi Community Education Centre student is aspiring to become an early childhood teacher in the remote island community, located about 450km east of Darwin. 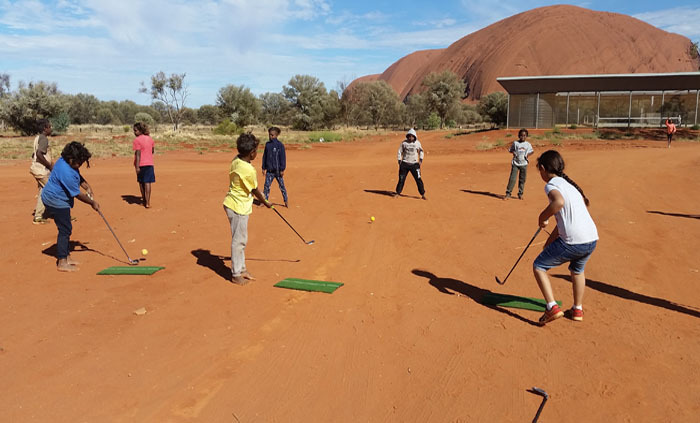 Golfing is commonly associated with carpets of well-manicured grass, and some command outstanding vistas, but none are dominated by the monolithic Uluru or the rugged scenery of Watarrka National Park. 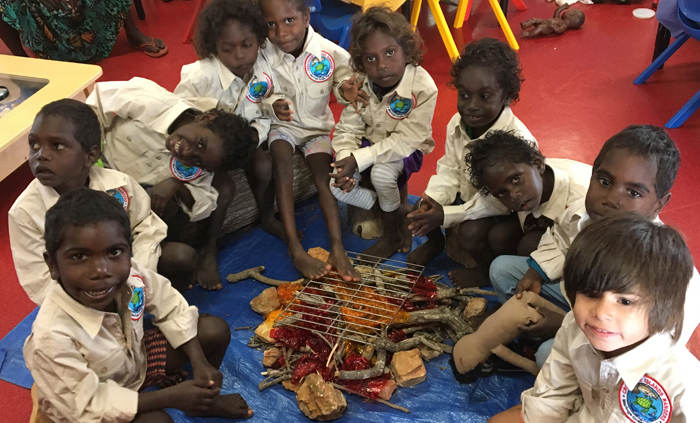 As someone who completed Year 12 last year and with the experience still relatively fresh in my mind, I know the word ‘exam’ constantly played on my mind the entirety of Year 12. 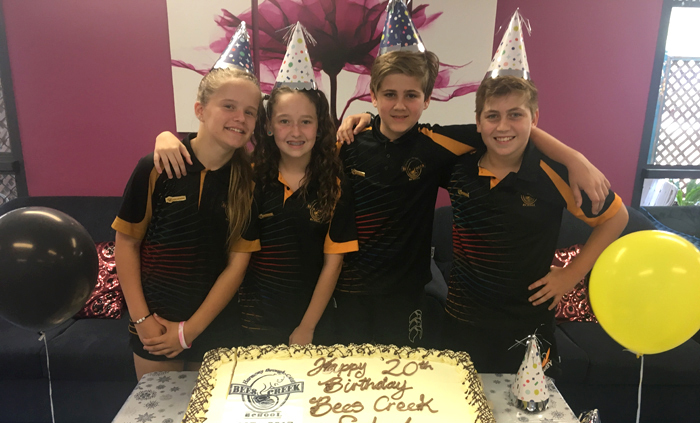 Bees Creek Primary School today celebrated its 20th anniversary, and a preschool expansion planned since 2015. 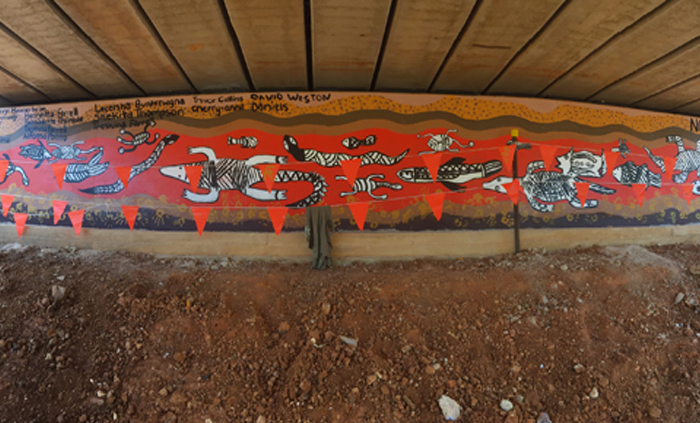 A vibrantly coloured mural created by students from Ngukurr School has transformed the underside of the high-level bridge spanning the Roper River. 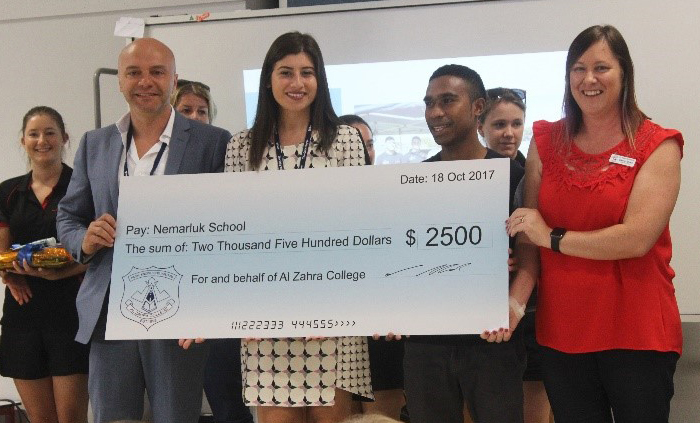 Al Zahra College students raised $2500 for Nemarluk School through the Community, Action and Service program, a college initiative requiring students to fundraise for an enterprise of their choice. 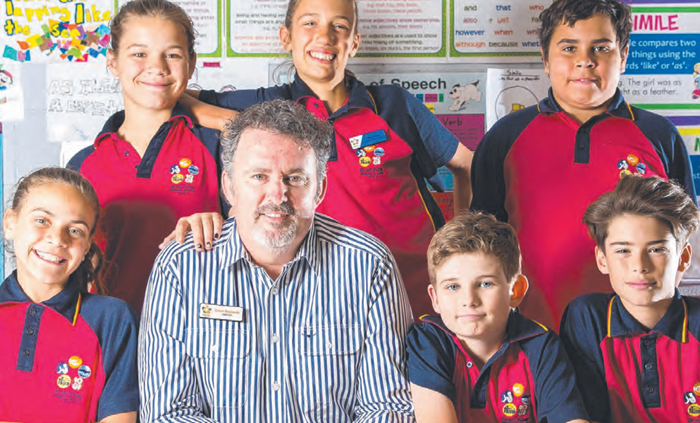 Simon Rowlands has been nominated for the Early Childhood and Primary Teacher of the Year Award. 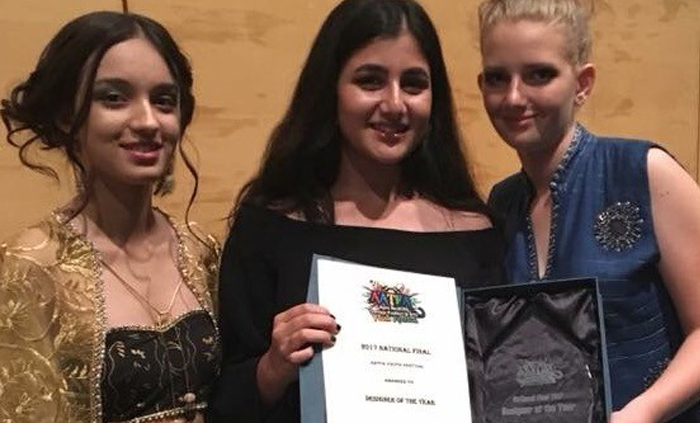 A fashion designer and Darwin Middle School student has eclipsed all contenders to score top honours at this year’s Apex Australia Teenage Fashion & Arts Youth Festival. 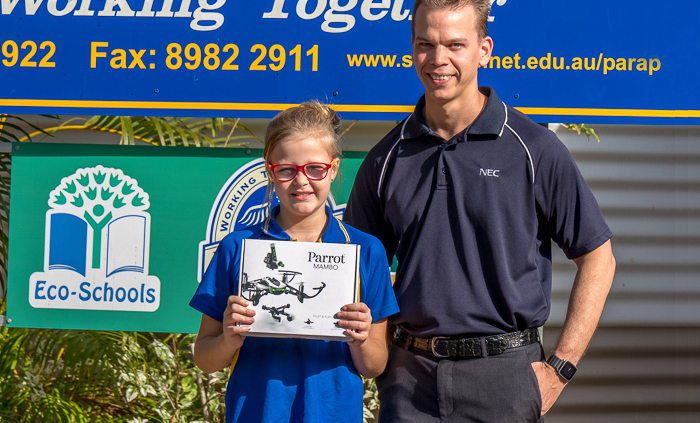 A Parrot Mambo microdrone has been presented to Parap Primary School student Grace Clifton and Durack Primary School student Riley Blackbourne.